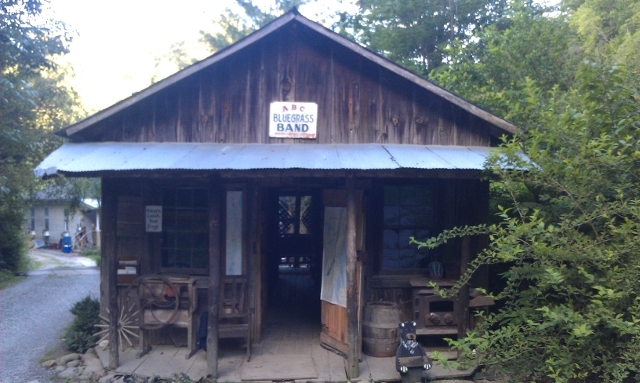 Following a 8-hour drive from Jacksonville to Standing Bear Farm in Hartford, TN I joined a few other hikers huddled around the campfire once I got settled in to the cabin. 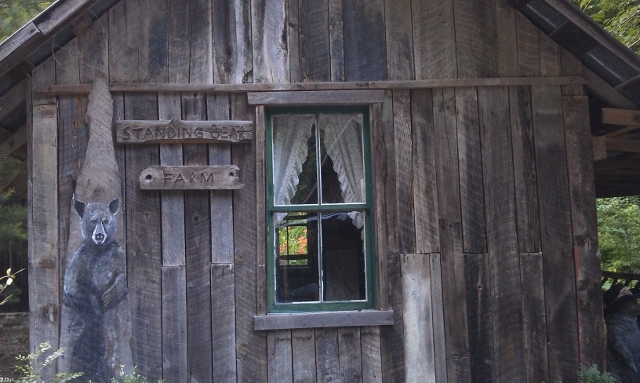 The farm is owned by Curtis and Maria but neither of them were around the hostel when I arrived. Rocket showed me around and got me situated. 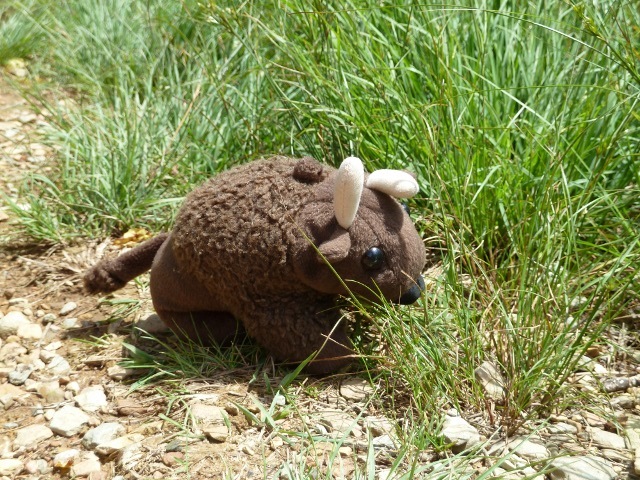 It wasn’t long before I turned in to get a good night’s rest for the first day of my hike. At 8 am Curtis and I left the hostel and headed into Hot Springs which was along the route. It gave me an opportunity to make sure my bump box had actually been delivered and it had. Leaving Bluff Mountain Outfitters we continued on to Devil Fork Gap. 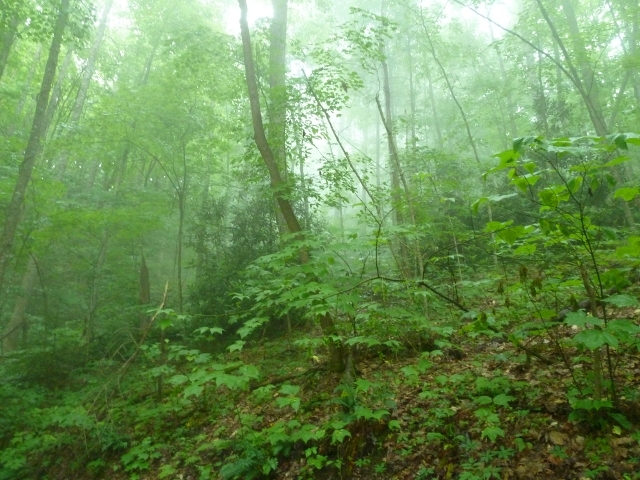 The weather in Hot Springs was clear and cool but as we got higher into the mountains the rain became more of a threat. When Curtis left me standing on the side of the road at Devil Fork I was wearing my new Frogg Toggs lightweight rain suit and hoping it wouldn’t last all day. The rain lasted about 2 hours before it finally broke and the sun came out in force. It turned into a beautiful day and I was happy to be out of the Toggs. They might be breathable but they still get mighty warm. 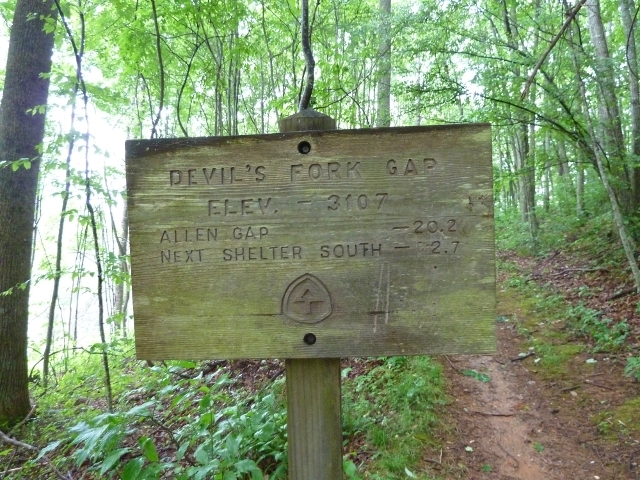 The first shelter after Devil Fork is Flint Mountain. I didn’t do much here beyond grab a photo and move on. While at the shelter I ran into Blaise (Blaze?1), a kindergarten teacher from Athens, GA. She was hiking with three friends but I hadn’t met them yet. 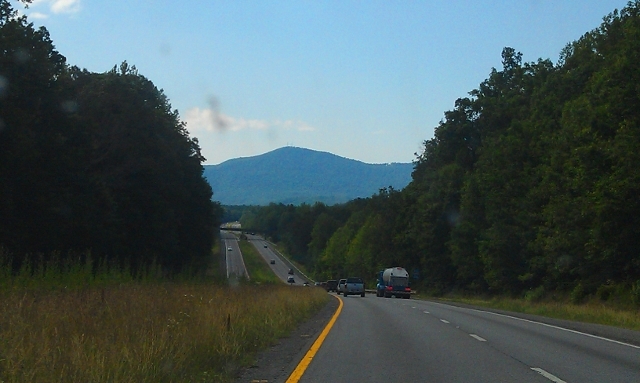 The climb out of Flint Gap was brutal. There were a couple of reasons for this. First, it’s a mighty steep climb. Second, the muddy trail and slick rocks made for sketchy hiking conditions. I wasn’t able to hike at my normal pace of about 2.5 miles/hour because there was a constant concern of slipping and falling. The call of the mountains truly is a very strong song. There is a saying in the area that “Life is better in the mountains.” I suppose the same could be said for death. 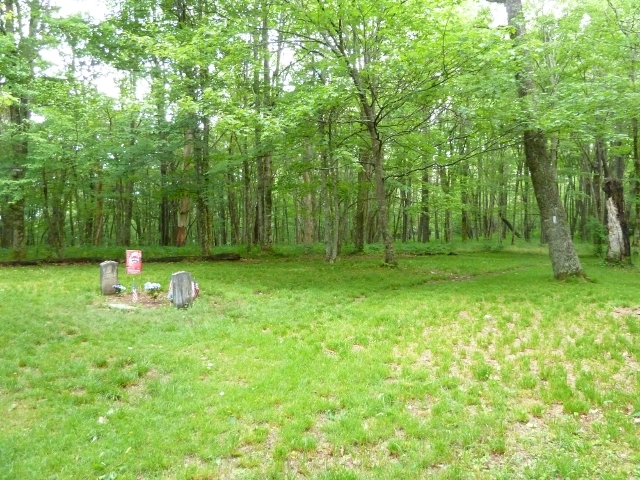 The Shelton gravesite atop Cold Spring Mountain is a very attractive and peaceful setting. 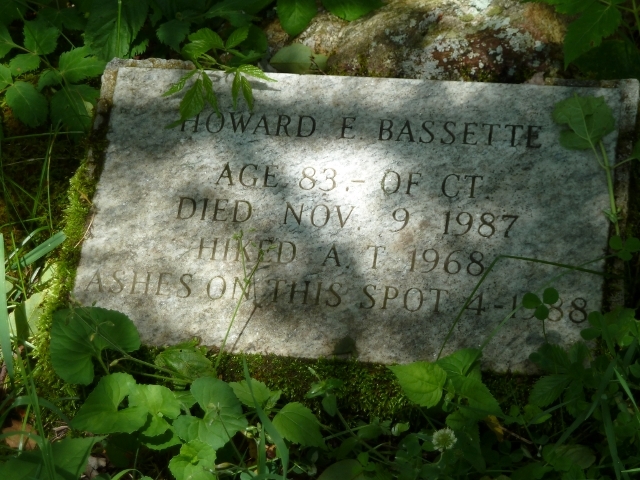 Further down the trail you’ll pass the Howard Bassette memorial. 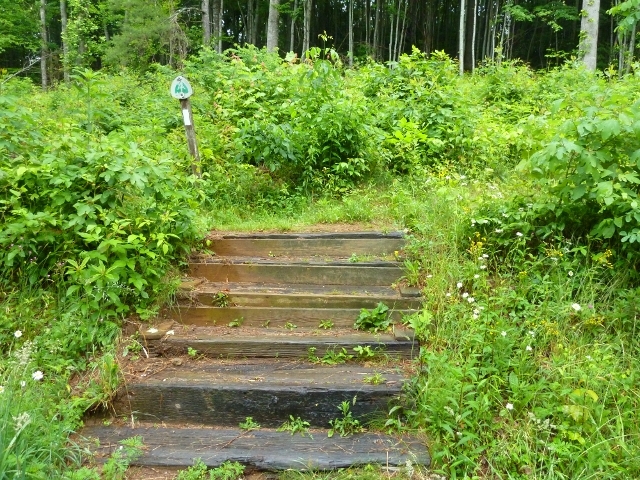 Several memorials dotted the trail heading south. 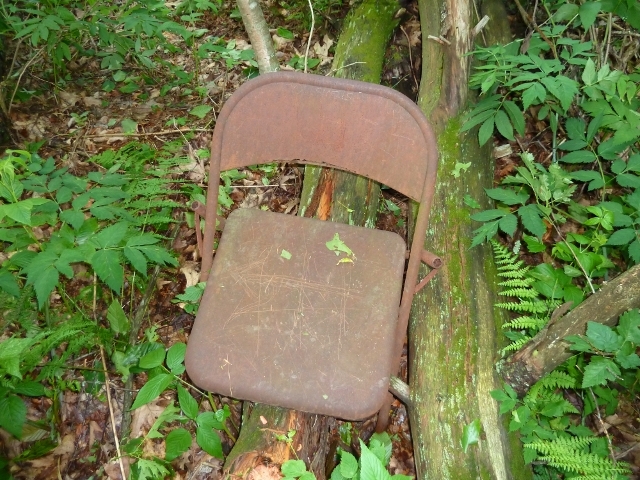 Upon reaching Jerry’s Cabin, a mere 8 miles into my journey, I was spent. 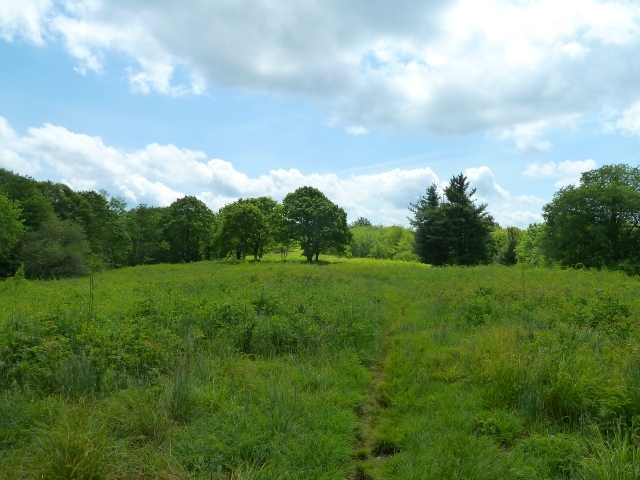 It had been an arduous climb and I wasn’t sure that I could make the next 5 miles to my original destination just before Little Laurel Shelter. Blaise was there and we discussed the thought of moving on. Neither of us were really up to it. Eventually her friends Katonka, Mainframe, and Keeper arrived. They were all equally spent and I knew that none of us would be moving on. We were at Jerry’s for the night. Mainframe and I were able to talk about the computer software world. Katonka and Keeper were also very cool. By the end of the night Jerry’s was teeming with activity as about a dozen other hikers decided to make it home as well. Bear cables are located almost directly opposite the shelter. 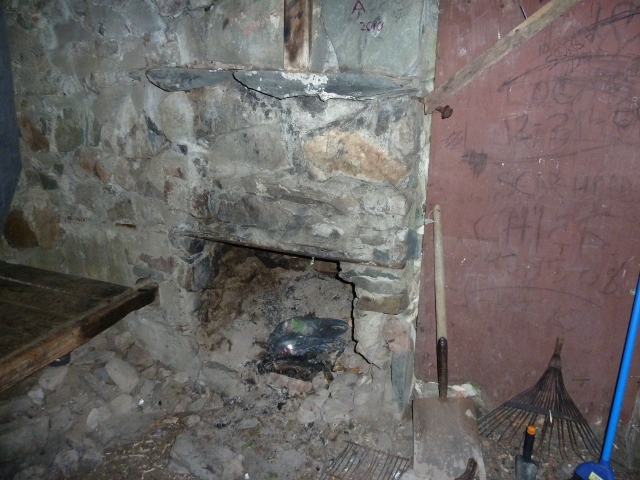 There’s a nice spring located a short walk (albeit uphill) and the privy is a short walk down from the shelter. Coming into the shelter from the south is a nice, large campsite. 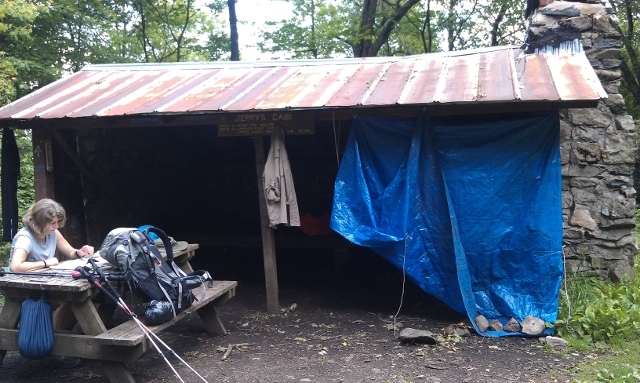 I believe we had three hammocks and three or four tents in the area. 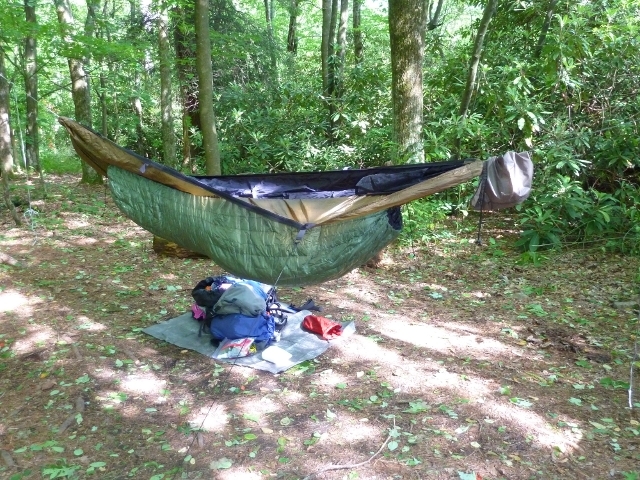 The only negative for the tenters (and why I hammock) is that it slopes so there weren’t any level sites. However, there was a very nice, level site that fit two tents just to the left of the water trail. I’d decided to try some new things in the way of food during this trip. First up was Packit Gourmet’s Big Easy Gumbo. It’s a little more involved than simply pouring water into a bag but well worth it in the end. I threw in some jalapenos to kick it up a notch and it was perfect! 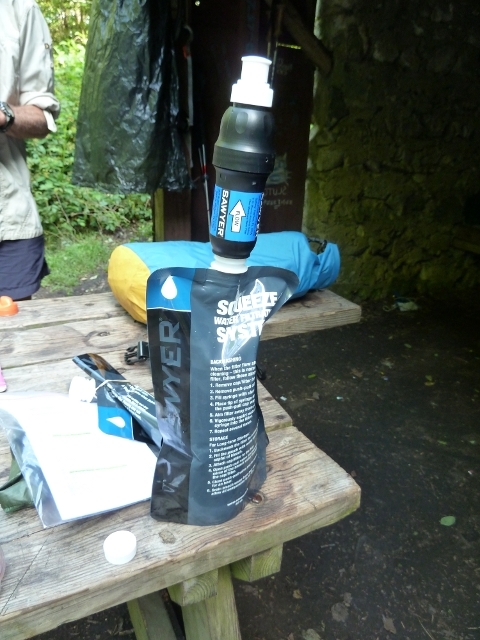 It also gave me the chance to try out my new Sawyer Squeeze filter. I typically use Aqua Mira but wanted to give this a shot. It worked well and I may make it a permanent addition to the packing list. 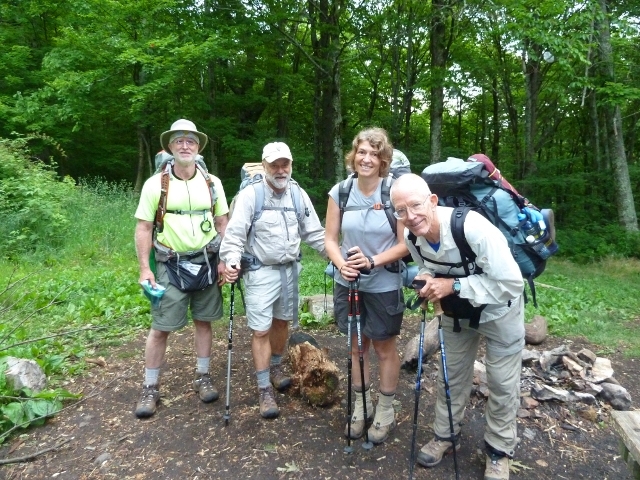 After a good night’s rest and a yummy breakfast Blaise et al and I headed back up the mountain for the southern push as the thru-hiker’s continued north.